Cristina Moreno understands the differences between a dictatorship run by force and a democracy under the rule of law. Born in Cuba, she has a deep appreciation for the U.S. constitution, shared by her husband, U.S. District Court Judge Federico A. Moreno, and their three children, Cristina, an assistant U.S. attorney in Miami; Rick, a private investment professional; and Vicky-Lou, a television producer. “I have known Cristina for a long time,” said Carlos M. de la Cruz, Sr., chairman of CC1 Companies on Key Biscayne. Moreno has represented the de la Cruz companies during the past 25 years in acquiring, financing, operating and in some cases, selling, of various businesses in Puerto Rico, Trinidad, St. Martens and South Florida. Those operations include Coca-Cola, beer and energy drink bottling companies, as well as Ford, Honda, and Hyundai car dealerships in Miami-Dade County. When Moreno was 7 years old, her family left their home in Havana and moved to Hialeah. It was the early 1960s and her father Manuel Morales and mother Bijousa Morales had to rebuild their lives and careers in a new country. Moreno’s father had trained as a lawyer, but operated a travel agency in Cuba. In Miami, he found work with another agency, struggling at first as few were able to afford travel. Some ten years after their arrival in the U.S., Moreno’s parents started taking groups of young people to Europe. They expanded their travel groups to families and adult-only groups all over the word. “My grandfathers on both sides were attorneys as well as my dad, but I hadn’t planned on a career in the law,” said Moreno. Instead, she studied journalism at the University of Miami. “It’s a great discipline because it ensures that you can write quickly and coherently about simple and complex topics,” she said. 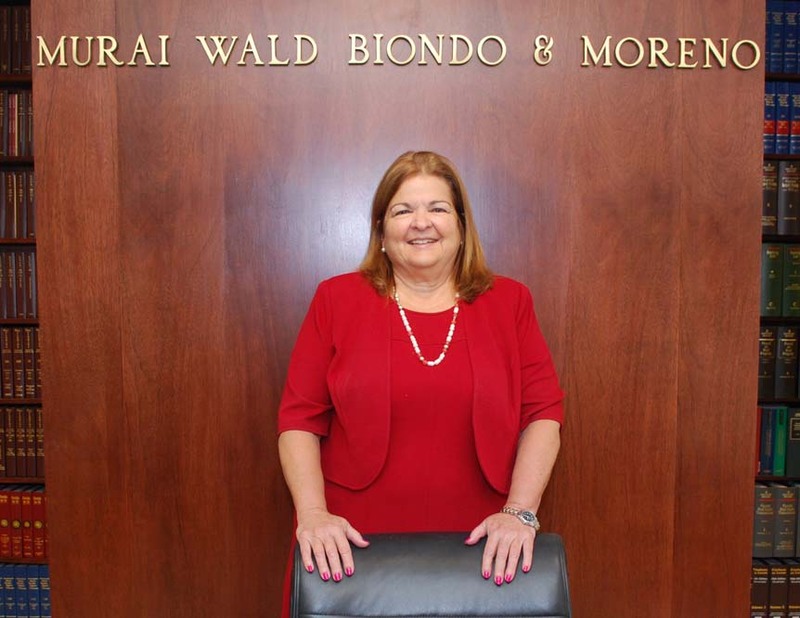 Moreno soon found she enjoyed the transactional side of her practice and began representing entrepreneurial family-owned businesses, foreign investors and other business clients in high-stakes matters throughout Florida, the U.S., the Caribbean and Latin America.